"We decided that we were going to fill this void." Two weekends ago, Static, which purports to be Pittsburgh's first club exclusively offering electronic dance music, opened in the Smallman Street space that many remember as Rosebud and Metropol. The club's ultimate success might depend on its ability to draw together elements of the city's flourishing electronic underground and its more mainstream club scene. A new club opening in Pittsburgh is rarely a story. New entities regularly open promising club nights to end all club nights and offering attempts at Vegas-style parties or New York-posh atmospheres. 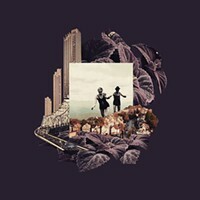 Then they fall into cycles of similitude: the same Top-40 blather played over a crowd of similarly dressed twentysomethings. The format is stale and the speedy turnover rate proves it time and time again. But Static, with its niche marketing, claims to be different. 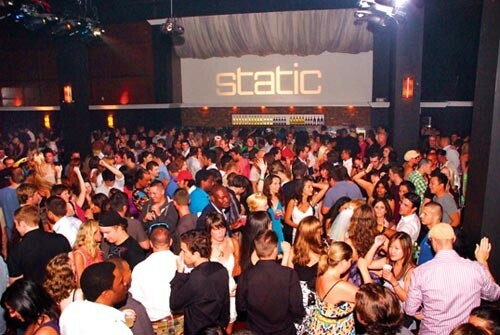 "There's a major void in the Pittsburgh market for a large venue providing electronic music on that scale," says Chris Firman, Static's vice president of operations. "So we decided that we were going to fill this void." The nature of that void is a matter of opinion. Some might say it just takes some digging to find the scene, that it remains tucked away in small venues like Brillobox or Eclipse Lounge. There's no lack of local talent, and Static's music program director and resident DJ, Eric Cohen (DJ Strobe), has every intention of tapping into it. "Of course I'm going to favor the local guys, especially the people who haven't had the chance to DJ outside of smaller venues and lounges just because the opportunity wasn't there," says Cohen. "Here the opportunity is." The larger opportunity afforded by Static comes down to simple math: More bodies equals more cover money collected -- which equals a bigger budget. The names that grace the program guide for festivals like Mutek or Movement are perhaps out of reach even for VIA, the current heavyweight champ in local electronic booking. But such names could come with a bigger space. Bigger is not always better, of course, and Cohen recognizes the attractiveness of the underground scene. "There's something cool about a more intimate location. As a house DJ, I've spun in basements of clubs with a red light and a crappy sound system and it has a great vibe, so a big room is not necessarily the epitome of what people want as far as the electronic experience." Aaron Clark, co-founder of the DJ collective Humanaut, took the decks for Static's first locally stocked Friday. He has seen and felt the difficulties that could face a club like Static: He's been at the helm of a techno collective that, in recent years, has gone from big club parties with attendance above 500 to small-party endeavors in spots like Belvedere's and the Lawrenceville Moose. The transition is partly because the group simply prefers the underground scene and the more forward-thinking sounds associated with it. "On one hand, you have the crowds that are into the more raw sounds that usually prefer to roll up to a smoky, intimate venue in jeans and a tee shirt," he explains via email. "On the other hand, there is the club crowd that is into getting dressed up and heading to a nicer, larger place. 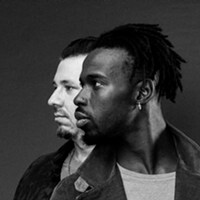 If Static can somehow manage to get them to gel together, then they will really help elevate the dance scene in Pittsburgh."